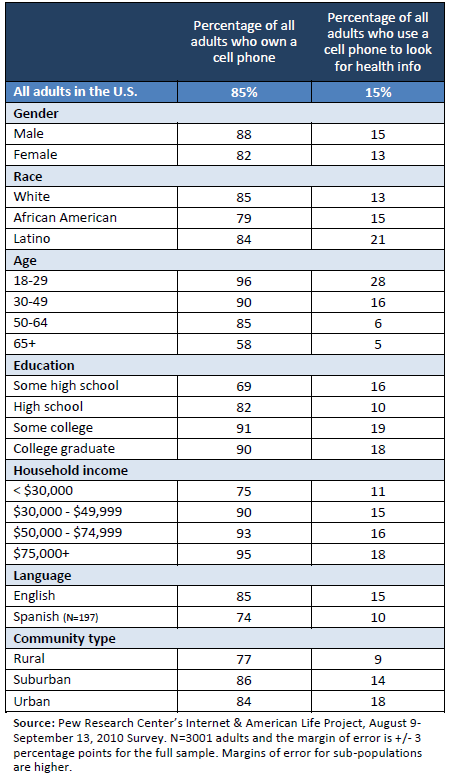 Eight in ten adult internet users look for information online. 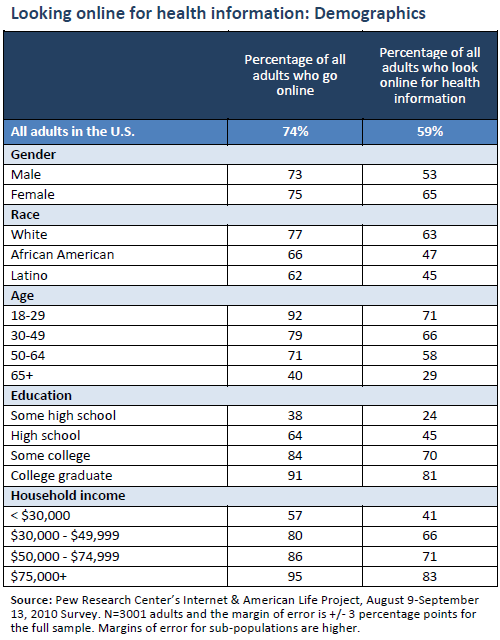 Since one-quarter of U.S. adults do not go online, the percentage of health information seekers is lower when calculated as a percentage of the total population: 59% of all adults in the U.S. look online for health information. There are two forces at play in the data: access to the internet and interest in health information. For example, women and men are equally likely to have access to the internet, but women are more likely than men to report gathering health information online, which explains the gender gap in the chart below. For the other groups, their overall lower rate of internet adoption combined with lower levels of health information seeking online drives their numbers down significantly when compared with other adults. 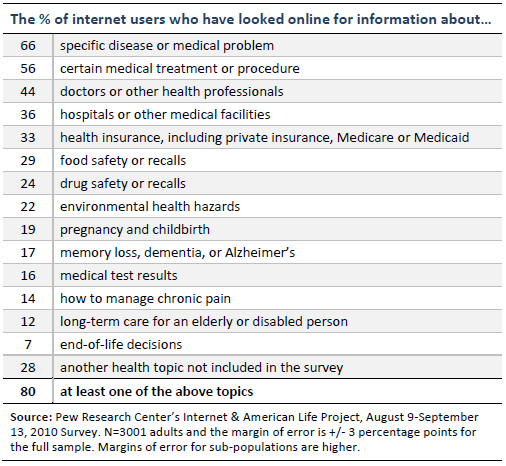 As we have reported in the past, people who are living with chronic disease or disability are likely, if they have internet access, to be highly interested in online health information.14 For those two groups, it is their lack of access to the internet which holds them back from parity with people who report no chronic conditions or disability. 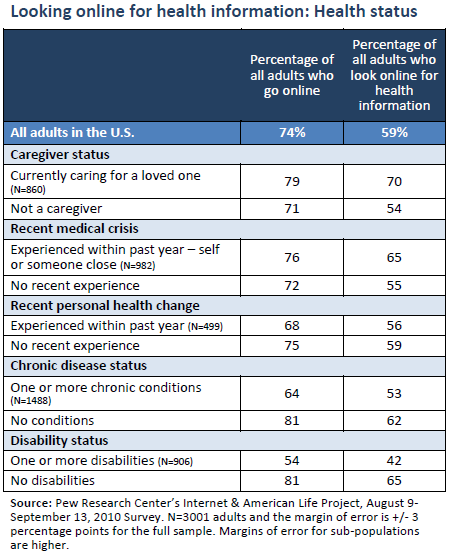 Two other groups with higher rates of online health information gathering include caregivers and people who went through a recent medical emergency. Health information is going mobile.